This year Alliance Member University College London Hospital (UCLH) have set up a Re-Use scheme for the organisation. Office and reception chairs, desks, whiteboards, pedestals, bookcases and filing cabinets are among a large stash of second-hand equipment and furniture that is available for staff to use. Stored at one of their premises, the equipment has an approximate value of more than £20,000. Re-Use was set up by the UCLH Capital Estates and Facilities team. The team help sort out delivery and collection of items. John and the team are introducing an inventory of items and photos to make it easier for staff to view what’s on offer. The benefits of Re-Use was highlighted by staff at a Cost Improvement Programme session held last year, with staff asking for the scheme to be promoted and highlighting the financial savings that can be delivered. Reusing equipment is already delivering savings. 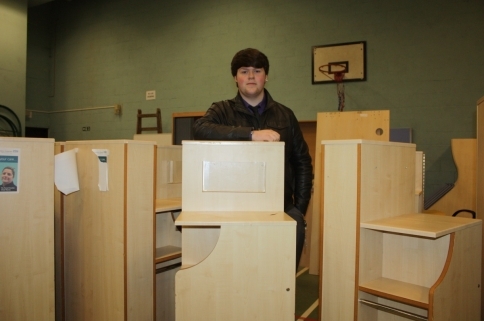 Last year UCLH reused more than 750 items of redundant office furniture. This equated to a saving of £84,000 and avoided sending 14 tonnes of waste to landfill.